Lord of the Rings director Peter Jackson revealed in a new interview that he was strongly urged, likely under false pretenses, to avoid casting Ashley Judd and Mira Sorvino in his Lord of the Rings franchise by Harvey Weinstein and his brother, Bob, back in the late 1990s. Judd and Sorvino have both come forward with allegations of sexual assault against Harvey Weinstein, which prompted Jackson to recall his meetings with Miramax back when they were trying to cast the Lord of the Rings. Weinstein denies any sexual misconduct and also denied that he had Mira Sorvino and Ashley Judd blackballed from projects. Peter Jackson has since come back with a rebuttal to Weinstein with more details. In a statement released by Harvey Weinstein's publicist, the disgraced Hollywood mogul claimed to have respect for Peter Jackson, but went on to say that Miramax lost out and the project went to New Line. Basically, Weinstein denied the claims because New Line ended up releasing the Lord of the Rings franchise, not Miramax, so therefore, this could not have happened. The statement continues and says, While Bob and Harvey Weinstein were executive producers of the film they had no "input into the casting whatsoever." Peter Jackson read the statement from Harvey Weinstein and then went to further challenge him. Jackson begins his own statement by saying that Weinstein's recollection of events is false and then details why. Jackson explains.
" Aspects of Harvey's denial are insincere. He is basically saying that "this blacklisting couldn't be true because New Line cast the movie". That's a deflection from the truth. In the 18 months we developed the Lord of the Rings at Miramax, we had many casting conversations with Harvey Weinstein, Bob Weinstein and their executives. During this period, no offers were made to actors because that occurs after a film is greenlit, and Miramax never greenlit these films." A lot could happen in 18 months, but Harvey Weinstein also left out that he and Miramax were involved with the project for that long. Weinstein went on to say that Ashley Judd and Mira Sorvino were both up for parts with Miramax afterwards. Peter Jackson went further into detail about the casting process for Lord of the Rings while the project was still with Miramax. Jackson says that Liam Neeson, David Bowie, Morgan Freeman, and others were all talked about in the casting phase with Miramax. 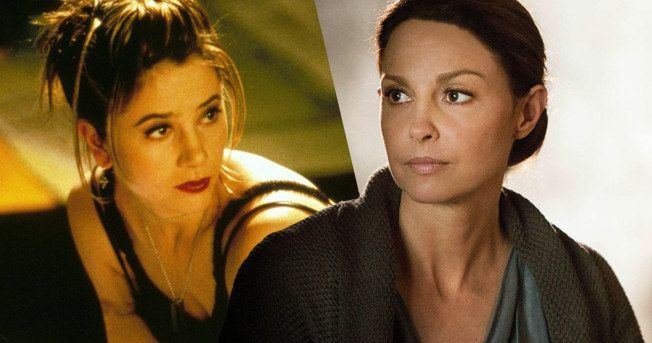 Other names that were brought up at the time were Ashley Judd and Mira Sorvino, but the Weinsteins claimed that they were difficult to work with. Peter Jackson had this to say.
" Amongst the many names raised, Fran and I expressed our enthusiasm for Ashley Judd and Mira Sorvino. In fact we met with Ashley and discussed two possible roles with her. After this meeting we were told by Miramax to steer clear of both Ashley and Mira, because they claimed to have had "bad experiences" with these particular actresses in the past. Fran Walsh was in the same meeting, and remembers these negative comments about Ashley and Mira as clearly as I do. We have no reason to make it up. This type of comment is not unusual - it can happen with any studio on any film, when different actor's names come up in conversation - but once you hear negative feedback about somebody, you don't forget it." Peter Jackson went on to say that studios in the "pre-Lord of the Rings days" carried veto power over casting decisions and that he and Fran Walsh didn't have much of a say at Miramax. In addition, Jackson claims that they put Ashley Judd and Mira Sorvino's names on a list of possible actresses, but that they decided not to work with the two actresses because of what the Weinsteins had said. Peter Jackson explains the situation and then offers an apology to Judd and Sorvino. He had this to say.
" We were not in a position to offer Ashley or Mira a role in the movies, but we attempted to have their names added to a list, for when casting began. Each role can have many actors names listed for future auditions and meetings. In these film maker/studio relationships, there has to be consensus in casting choices - either side can generally veto suggested names for various reasons, and in pre-Lord of the Rings days, we didn't have the power to override the studio on casting choices. The movies changed hands from Miramax to New Line before casting actually got underway - but because we had been warned off Ashley and Mira by Miramax, and we were naive enough to assume we'd been told the truth, Fran and I did not raise their names in New Line casting conversations." The director continued by saying that he and Fran Walsh had not thought about the casting of the Lord of the Rings franchise since the late 1990s. However, that all changed when the recent barrage of sexual misconduct allegations against Harvey Weinstein came out, including allegations from Ashley Judd and Mira Sorvino, Peter Jackson knew that he had to speak up. He explains.
" Nearly 20 years later, we read about the sexual misconduct allegations being made against Harvey Weinstein and we saw comments by both Mira and Ashley, who felt they had been blacklisted by Miramax after rejecting Harvey's sexual advances. Fran and I immediately remembered Miramax's negative reaction when we put their names forward, and we wondered if we had unwittingly been part of the alleged damage to their careers, at the hands of Miramax." Peter Jackson also went on to say that they do not have concrete proof of the blackballing, but he and Fran Walsh clearly remember the incident. In addition, the director also claimed to have no reason to make up such claims. Peter Jackson is not the only director to come forward and confirm the blacklisting of Mira Sorvino. Bad Santa director Terry Zwigoff claims that he wanted to cast Sorvino in Bad Santa, but every time her name would come up, he'd get hung up on. Zwigoff had this to say. "I was interested in casting Mira Sorvino in Bad Santa, but every time I mentioned her over the phone to the Weinsteins, I'd hear a click. What type of person just hangs up on you like that?! I guess we all know what type of person now. I'm really sorry Mira." Both Mia Sorvino and Ashley Judd commented on the new allegations via social media. Sorvino admitted to feeling "heartsick" over the news. She explains. "Just seeing this after I awoke, I burst out crying. There it is, confirmation that Harvey Weinstein derailed my career, something I suspected but was unsure. Thank you, Peter Jackson for being honest. I'm just heartsick." Judd simply responded that she remembered the whole situation quite well. Peter Jackson, Terry Zwigoff, Mira Sorvino, and Ashley Judd have yet to respond any further. You can check out what the actresses had to say below, courtesy of Mira Sorvino's Twitter account.